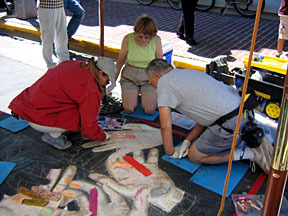 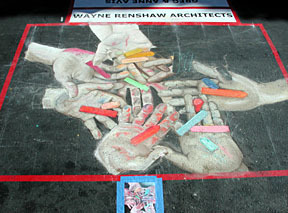 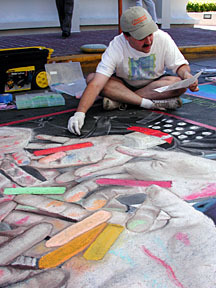 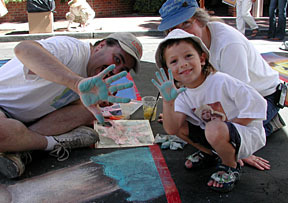 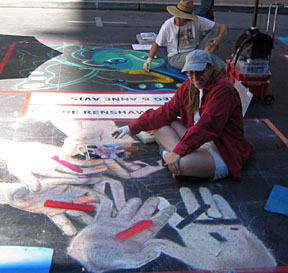 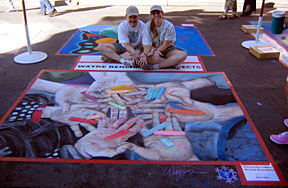 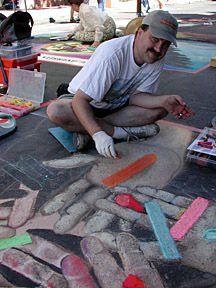 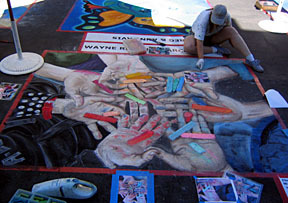 At the end of our time working on Howard Rheingold's Future Garuda at the 2001 I Madonnari in Santa Barbara, our group of chalkers gathered around to compare dirt levels on our hands. 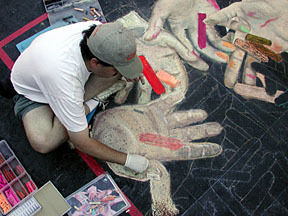 We found the hands--augmented with more chalk--made a good photo. 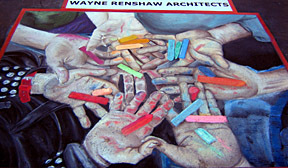 For this painting, Wayne and Cheryl drew the overhead photo of four of us with chalky hands: clockwise from the top left is David, Sylvia, Cheryl and Penny. 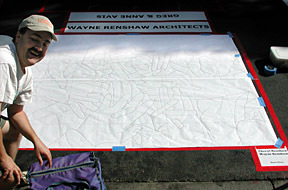 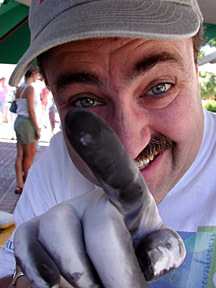 Wayne sets up the tracing to be pounced (powdered chalk rubbed through holes poked in the paper).